ConferenceSeries llc LTD organizes a conference series of 1000+ Global Events inclusive of 1000+ Conferences, 500+ Upcoming and Previous Symposiums and Workshops in USA, Europe & Asia with support from 1000 more scientific societies and publishes 700+ Open access Journals which contains over 50000 eminent personalities, reputed scientists as editorial board members. Environmental Chemistry 2019 is a unique event tailored to spread the awareness about the value of utilizing the natural resources. The conference strives to accumulate specialists and pioneers from across the globe in order to counter the economic under-evaluation ecologist may face in their practice. 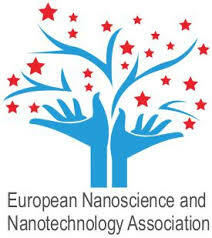 Several eminent researchers and speakers will present their outlook and advice, the venue of the event has been selected after much research to assure that the event is being held in one of the hotspots for the concerned field, therefore attendance is expected to be astounding, both in quality and quantity. The variety of prospective audience includes: figures of academic excellence, interested industrialists, Students, exhibitors and eminent faces from the world environmental chemistry & engineering thus enabling the sponsors a unique chance to choose from a pool of outstanding scopes for expansion of their business, new project undertaking and recruitment. 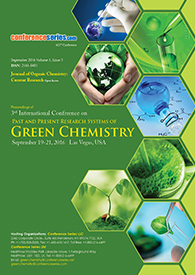 All these factors combined and several more make Environmental Chemistry 2019 a “must attend” Environmental Chemistry conference. Environmental design is the manner of addressing surrounding Environmental parameters when devising plans, policies, programs, buildings, or products. Environmental design can also refer to the applied arts and sciences dealing with creating the human-designed environment. These fields constitute architecture, Geography, urban planning, landscape architecture, and interior design. Environmental design can also encircle interdisciplinary areas such as historical preservation and lighting design. In terms of a bigger scope, environmental design has implications for the industrial design of products: wind-electricity generators, innovative automobiles, Solar-electric equipment, and other kinds of equipment could serve as examples. Currently, the term has expanded to employ Wind-electricity generators to ecological and sustainability issues. 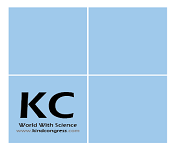 18th International Conference on Industrial Chemistry &Water Treatment during April 26-27, 2019 at Vancouver, British Columbia;10th Conference on Chemistry during May 09-10, 2019 at Amsterdam, Netherlands; 12th International Conference on Materials Science during May 20-22, 2019 at Zurich, Switzerland; 13th International Conference on Electrochemistry during May 27- 28, 2019 at Barcelona, Spain; 8th Global Congress on Mass Spectrometry during May 29-30, 2019 at Four Points by Sheraton | Taipei, Taiwan; 21st International Conference on Environment, Chemistry and Management at New York, USA during April 22-23, 2019; 8th World Congress on Green Chemistry and Technology at Paris, France during February 18-20, 2019; Symposium on Environmental Chemistry at Saitama, Japan during June 12-14, 2019. ·These are all kinds of interactions be­tween different forms of life. These are plants, animals, micro-organisms. Environmental Innovation is the use of at least one of natural science, Green Science, natural checking and electronic gadgets to screen, model and ration the common habitat and assets, and to control the negative effects of human association. Feasible advancement markers are measures of manageability, and endeavor to evaluate past the non-specific idea. In spite of the fact that there are contradictions among from various controls and Global Associations have each offered measures. Environmental toxicology is the science and practices of the adverse effects mainly of chemicals other man-made agents in the environment and through the environment. The targeted receptors of these adverse effects may be both the ecosystem and the human. Environmental toxicology includes the study of chemical substances potential and actual contaminants –Polluting air, water, soil and food, their impacts upon the structure and function of ecological systems, including man as well as the use of these results for decision making and Environmental management. Environmental chemistry is not a new discipline. Excellent work has been done in this field for the greater part of a century. At present there are many environmental issues, which have grown in size and complexity day by day and are threatening the survival of mankind on earth. There are many issues that need to handle in their chemical perspective viz. One of environmental chemistry’s major challenges is the determination of the nature and quantity of specific pollutants in the environment. Thus, chemical analysis is a vital first step in environmental chemistry research. The difficulty of analyzing for many environmental pollutants can be awesome. Conference Series llc LTD organized 8th International Conference on Environmental Chemistry and Engineering September 20- 22, 2018 at Berlin, Germany that got brilliant response. Eminent Scientists, researchers, business professionals and scholar students were participated during this prestigious conference. With the support and steerage of Organizing Committee Members, Editorial Board Members and amaze displays of all participants this outstanding summit became additional spectacular. The theme of the conference “Accentuating Novel Researches and Frontline Advances of Environmental Chemistry” was dilated across the world by speeches from the participants and with boost of media partners and collaborators. Environmental Chemistry 2018 Organizing Committee would like to thank the Moderator of the conference Dheepika Tamilselvam, Solar Outdoor Media, Germany, chair and co-chair of the conference and all other attendees who contributed a lot for the smooth functioning of the event. 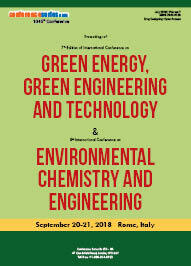 Conference Series llc LTD has taken the privilege of felicitating Environmental Chemistry 2018 Organizing Committee, Editorial Board Members, Honorable guests and Keynote Speakers who supported for the success of this event. 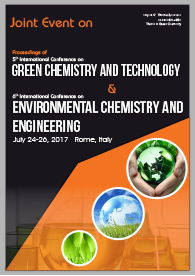 With property excitement for grand success of this outstanding conference it's glad to announce next annual meeting 15th International Conference on Environmental Chemistry and Engineering to be control throughout August 15-16, 2019 at Rome, Italy. 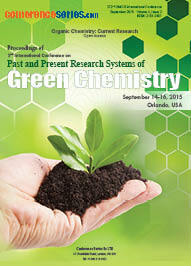 With the theme “Environmental chemistry is the link between Human mankind and nature”.